The champagne is flowing - and so is the fun - in this "delightful and sly" (Roger Ebert) romantic comedy about two people who belong together but just can't seem to tie the knot. Ushering in two Academy Award® nominations, and starring Hugh Grant (Notting Hill), Andie MacDowell (Michael) and a superb ensemble cast that includes Oscar® nominee Kristin Scott Thomas, Four Weddings and a Funeral is truly "a very special occasion" (Rolling Stone)! Charlie (Grant) is always the best man but never the groom. Determined to avoid even a hint of commitment, this handsome English gentleman is notoriously late to every wedding. But today he's in for a real surprise because not only did he forget the ring... but he also just caught a glimpse of the girl of his dreams (MacDowell)! 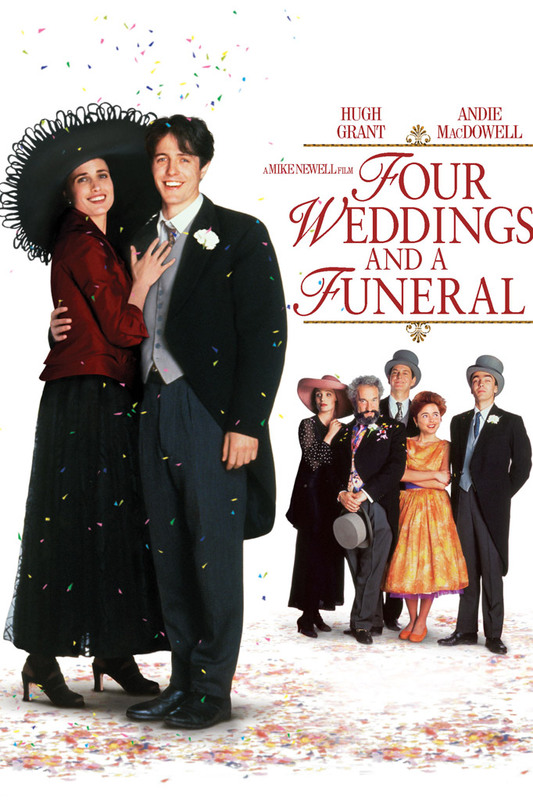 "Elegant, festive and very, very funny" (The New York Times), Four Weddings and a Funeral is engaging entertainment from beginning to end.